One of the really unique aspects of Disgaea: Hour of Darkness is the fact that you're able to teach units that don't start with magic any type of magical spell you want. In order to teach a unit some magic you'll first need to defeat enough enemies to accumulate enough Mana; the main currency you use at the Dark Assembly. With enough Mana you'll be able to make new characters at the Dark Assembly which is the only way you can teach a character magic abilities that doesn't already have one. You need to make a magic caster the pupil of the character you want to teach magic to. 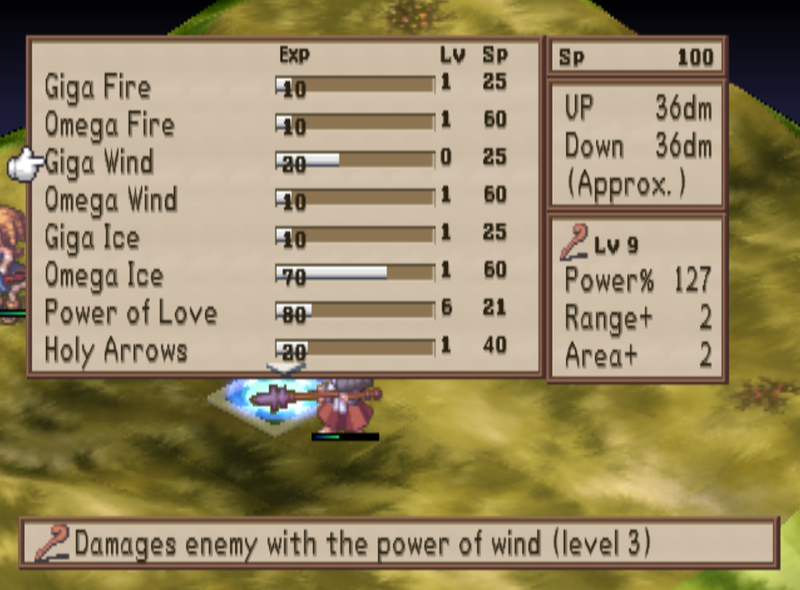 For example, if you'd like to teach Flonne offensive magic like I did in my screen shots, you need to make a Fire, Wind, Ice, Star or Prism mage her apprentice. You can also teach offensive magic to your Cleric characters as well so that they know both healing and attack magic. A lot of people do this as it makes it much easier to level up your healers when they can actually deal damage. Keep in mind too that the character you want to teach magic to doesn't need to actually be a magic caster; you could teach Laharl Omega Heal if you wanted too. After you create a pupil that is tied to the character you'd like to teach magic too - learning spells on them is rather straight forward. During battle you'll want to place these characters side by side on the map, when you do this it will allow the character that's the Master cast the Pupil's spells. Initially this will be the only way for the Master to cast the spells. However if you raise the rank of any spell to 1 it'll permanently teach it to the character. Then you'll be able to cast the spell any time you want without having to put your Pupil next to him (or her) during battle. That's all there is to teaching your characters magic in Disgaea: Hour of Darkness! 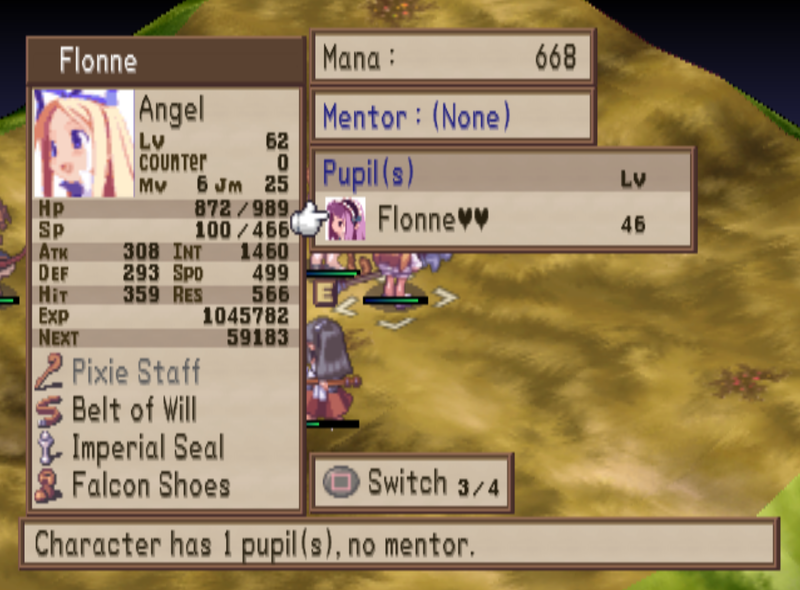 I strongly recommend teaching Flonne some attack spells and making one or two healer classes which you teach some attack magic to as well. In Disgaea 1 you don't get EXP for a kill unless you deal the killing blow which makes Clerics extremely hard to level up - if you teach them attack magic it alleviates that problem!